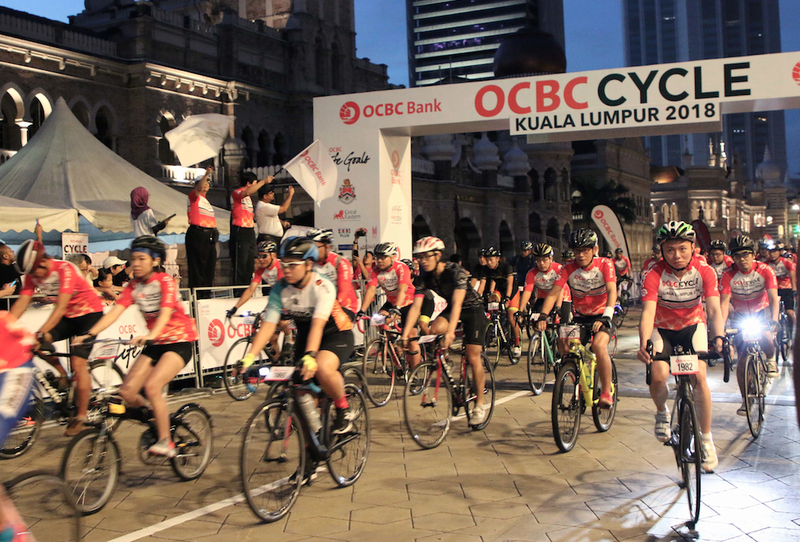 More than 2,000 cyclists from all walks of life converged in the heart of Kuala Lumpur for the fourth edition of the 42km OCBC Cycle KL 2018, spanning two loops of a 21 kilometre stretch across some of the capital’s most iconic landmarks in the city centre. 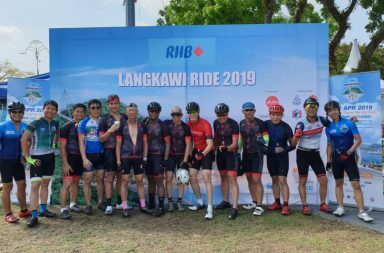 The event, with a distinct togetherness theme, saw them cycling past some of the capital’s most iconic landmarks including the Petronas Twin Towers, Sultan Abdul Samad Building, the National Mosque and the old Keretapi Tanah Melayu building. 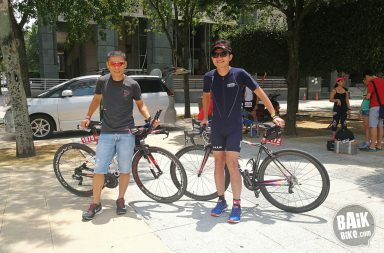 The ride was flagged off from Dataran Merdeka by En Khairul Anuar bin Mhd Juri. 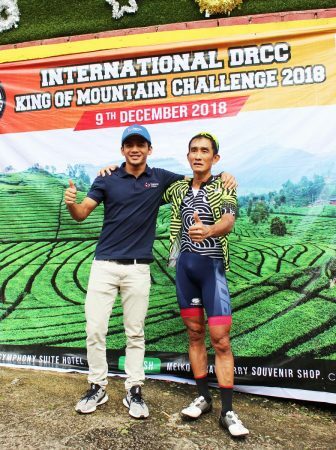 Director of Culture, Arts, Tourism and Sports Department, Dewan Bandaraya Kuala Lumpur, and Dato’ Ong Eng Bin, CEO, OCBC Bank (Malaysia) Berhad. 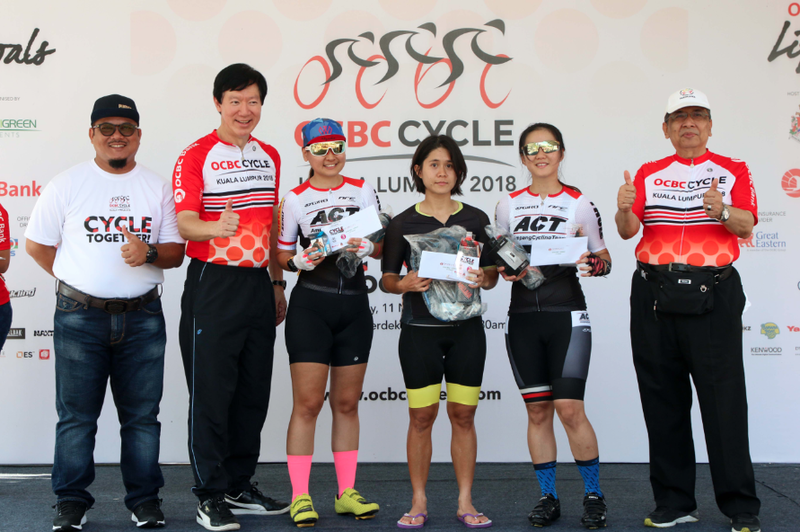 Winners of the Road Bike – Women’s category. 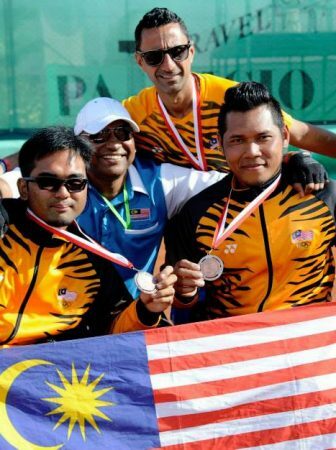 “Among the initiatives we took to ensure more balanced participation was to distribute the prizes evenly between the men and the women this year. 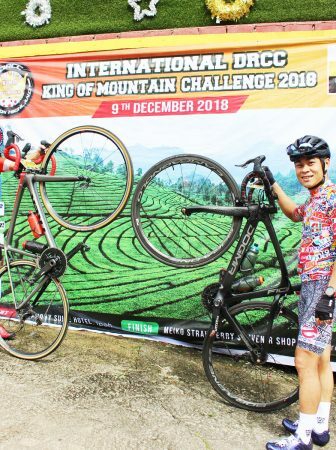 We hope everyone had a good time and we would like thank all participants for joining us in this annual mass cycling event which remains the only one of its kind in the city centre on closed roads,” he said. 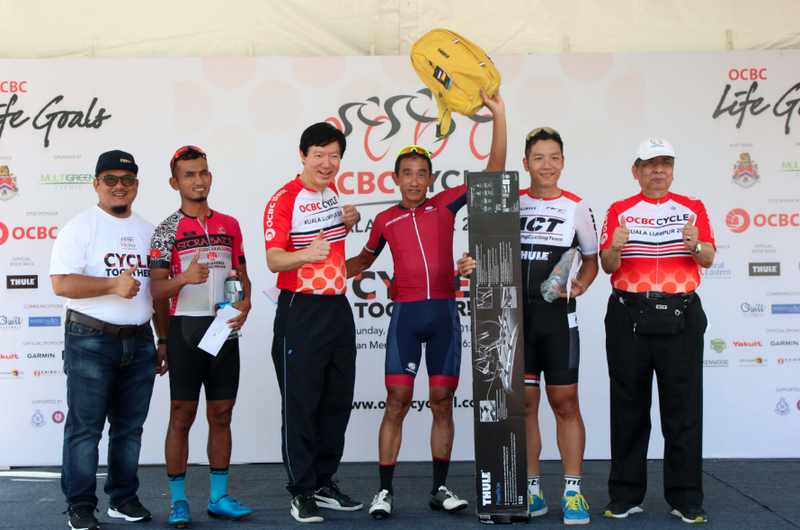 Winners of the Road Bike – Men’s category. 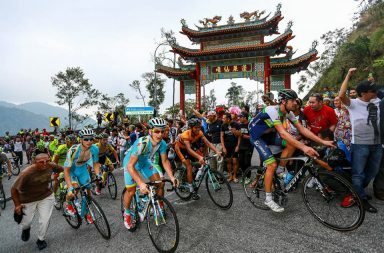 The event also brought together various players in the region involved in cycling, cycle-related supplies, sports clothing, bicycles, bicycle equipment and tools and so forth who participated in a Bike Market such as Thule, After Shokz, Banana Boat, Yakult, Garmin, Camelbak, Maxtron, Gardenia, and Dynamiteque.